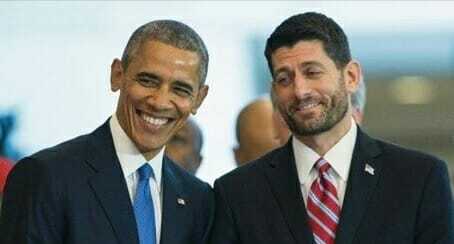 Globalists Paul Ryan and Barack Obama pushed for the destructive TPP trade deal in 2016. The duo pushed for the TPP trade deal with Asia — just like the NAFTA agreement that destroyed over a million US manufacturing jobs. But then candidate Donald Trump stepped in and said he would destroy the deal. Donald Trump was the first major Republican candidate to run on a policy of “fair trade” not the foolish “free trade” agreements which was the party’s official position. On Monday morning President Trump reminded Americans of how government officials screwed them with their trade deals.